Harvard University Press, 9780674416970, 531pp. Alfred North Whitehead has never gone out of print, but for a time he was decidedly out of fashion in the English-speaking world. In a splendid work that serves as both introduction and erudite commentary, Isabelle Stengers--one of today's leading philosophers of science--goes straight to the beating heart of Whitehead's thought. 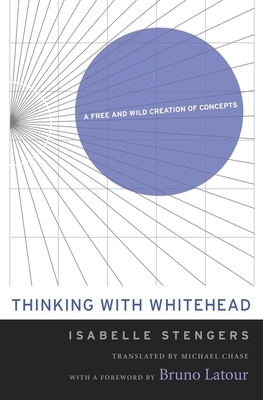 The product of thirty years' engagement with the mathematician-philosopher's entire canon, this volume establishes Whitehead as a daring thinker on par with Gilles Deleuze, Felix Guattari, and Michel Foucault. Reading the texts in broadly chronological order while highlighting major works, Stengers deftly unpacks Whitehead's often complicated language, explaining the seismic shifts in his thinking and showing how he called into question all that philosophers had considered settled after Descartes and Kant. She demonstrates that the implications of Whitehead's philosophical theories and specialized knowledge of the various sciences come yoked with his innovative, revisionist take on God. Whitehead's God exists within a specific epistemological realm created by a radically complex and often highly mathematical language. "To think with Whitehead today," Stengers writes, "means to sign on in advance to an adventure that will leave none of the terms we normally use as they were."